Within Teamwork Projects, you can import boards from Trello into your projects using the Trello importer. To start an import, click your profile icon in the top right of your site, and select Settings from the dropdown menu. In the Settings area, go to the Import tab. Here, you will see a section for Trello. Click the 'Import' button to start the process. 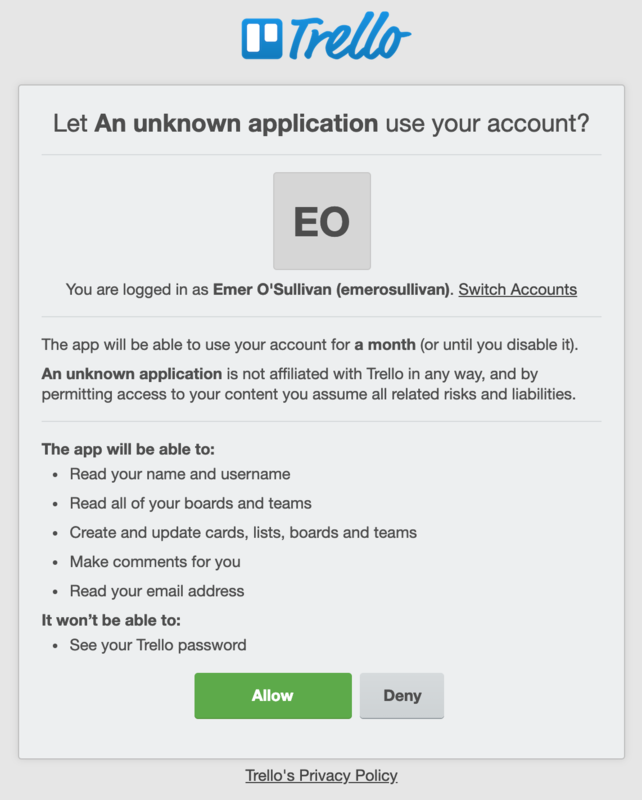 If prompted, enter your Trello login details. You will then be asked by Trello to allow Teamwork Projects the permissions below. You will then see a list of the available boards you can import. You can choose to import all boards or select specific ones you would like to import, as shown here. You can then select Import to start. These temporary non-working email addresses will need to be manually updated to the real working email addresses of the imported members. We provide you with a quick edit tool at the end of the import to make this easier for you, and the imported Trello members will be automatically displayed there. A list of these users, and a link to the quick edit tool, will also be included in the email you will receive once the import has finished. No Teamwork notifications or messages can be emailed to these users until their email addresses have been updated and an invite has been sent. Once the import has started, you can either wait for the import to finish or close the window and you will be emailed with an update as soon as the import is complete. 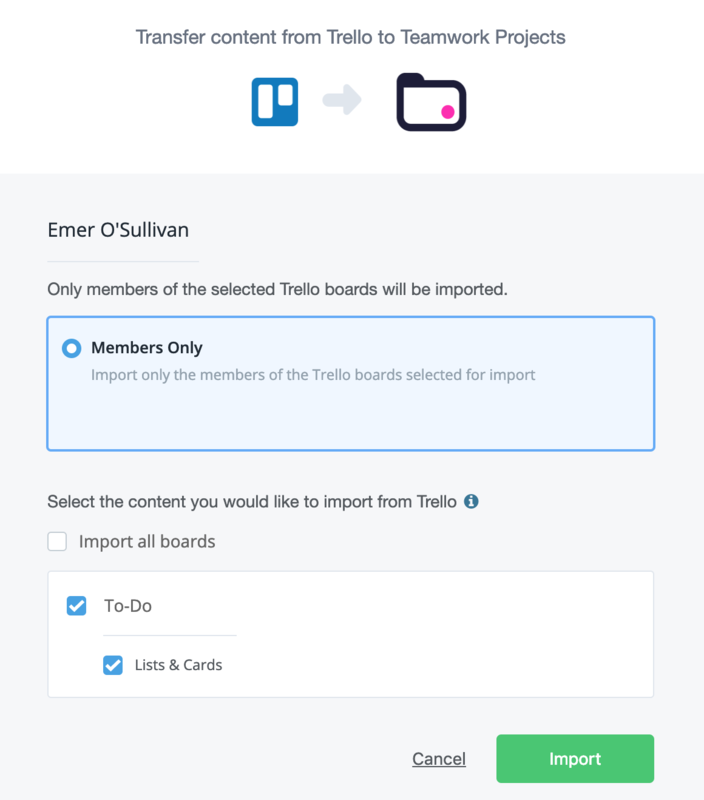 If you have already imported a board from Trello, you can choose to reimport the board. Note: If you choose to reimport, it will overwrite the previous import and any changes that you have made since the initial import. If you choose the Update option, then the board will be imported from Trello, but the existing import will not be overwritten. Previously imported items in Teamwork will be updated with any new information being imported from Trello. Note: Most of the import activity will not show up on your project activity dashboard. Archived boards can also be imported and will remain as archived projects in Teamwork.